Gift Certificates for Massage make AWESOME gifts, even for those who have never had a massage. The health and healing benefits of massage have been well documented, even with infant babies. I am constantly amazed by outcomes. In the hospital, postpartum massage would often completely change how a new mom was feeling - physically and emotionally. By promoting relaxation, reducing and/or eliminating pain, often times bringing in the breast milk by stimulating and circulating hormones, and speeding up healing overall. Infant massage has been proven to help infants and caregivers. For babies, massage helps to synchronize the digestive system - which helps with colicky babies. It also helps to tone muscles, develop the sensory system, promotes relaxation, better sleep, better digestion, and so much more. While the baby is learning to love massage, they are also developing trust and communication with the caregiver. For the caregiver, Infant Massage is a tool to comfort and relax the baby. It also helps with bonding as the trust and communication develop during the Infant Massage process. There are also those who are caregivers of others who are sick and/or aging. They definitely deserve the Gift of Massage. As well as anyone who works hard, or is under a lot of stress, or both. Massage also helps with many different illnesses and various injuries, often times when nothing else will help. I think we can all think of someone, or several someones who would benefit from massage. But truthfully, a lot of people will NOT spend the money on themselves - especially for a first massage. That is why Gift Certificates make such a GREAT gift! For the full benefit of total relaxation and a full body massage, 1 hour is best. The cost of a 1 hour massage is $60. 30 minutes is great for working out specific areas, and postpartum healing. A 30 minute massage will cost $30. And, a Gift Certificate for a single session of Infant Massage Instruction is $35. Gift Certificates can always be purchased for a dollar amount which allows the receiver to decide which service they would prefer, and they would always have the option to upgrade. Gift Certificates are great by themselves and fun to add to gift baskets also. As I begin this entry, I want to mention that I just got a message telling me that my most recent client is on her way to L&D to have a baby - and I am SO excited! I've been wanting to write this piece for quite a while, and now I am feeling very motivated! (although, I am not exactly sure where to start). It seems that "Labor Stimulation Massage" is something many people are vaguely aware of, but I cannot overstate the "vagueness". I actually did not believe it, until I started practicing it myself. I wish I could just sit down and write, "This is what it is, and this is how it works". Unfortunately however, it is not quite that simple. But I will do my best to give you a clearer idea of what it is and what it is not. First of all, I want to explain that I do not use the term "Labor Induction Massage". 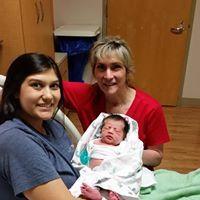 I think it is too easily confused with the labor induction that is done in a hospital with pitocin, where you make an appointment and go in fully expecting to have your baby in arms when you go home. We simply cannot guarantee an outcome like that. And to be honest, there are cases where the pitocin does not work, and moms actually get sent home from the hospital to wait a little longer. I don't believe any of us want a baby to be born before they are actually ready. But there are cases and situations where we feel it would be more desirable if the baby were born sooner than later, such as the size of the baby, blood pressure issues, etc. That being said, I prefer to call the technique I do - "Labor Stimulation". By working with the acupuncture pressure points, we are stimulating the production and release of the oxytocin - which is the natural hormone present in labor. While the baby may get extra active as mom's abdominal muscles tighten, or contract, the actual outcome varies from pair to pair (mom/baby pair). I was told during my training that if I used the technique as taught, the client would be in labor within 12 hours, so it is important to be certain that she was at least 39 weeks and that the doctor was aware and onboard. I have never had a doctor decline it. Actual results have varied from client to client. I can say, the technique has clearly started labor within 12 hours of seeing many of my clients. But, as we all know - some labors are pretty quick and others are not. I had one client that I worked on that had not any prior contractions, I stopped after an hour because the contractions were so strong - she was breathing through them. I ended up driving her to the hospital 15 minutes later, and the baby was born an hour after we got there. And then, I have had a couple of clients actually contract for 10 days before finally giving birth, I know that is probably not the most desired outcome - but its IS an outcome. 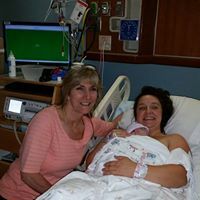 I became pretty comfortable with telling people that I had never seen a client that we did not at least get some contractions started, and then I had one. I don’t remember what happened after she left the office, but while she was on the table we had some movement but no contractions. Its things like that that keep us humble, and I no longer say "NEVER". I typically do not promote the "Labor Stimulation", just because I do believe the baby will be born when they are ready. But, after working in the "Family Center" at the hospital for 8.5 years I am very familiar with the process. The pregnancy will go so far and the Doctor will often start talking about a Pitocin Induction. I have seen time and time again, the pitocin spur a pretty intense labor. There just is not a "one size fits all" procedure, with guaranteed results when it comes to having a baby. I have had moms come to me for many various reasons, some were wanting to V-back, and of course we have to have the doctor onboard for that one. Others had medical issues and the doctors started talking Pitocin and moms wanted to try something a little more natural first. 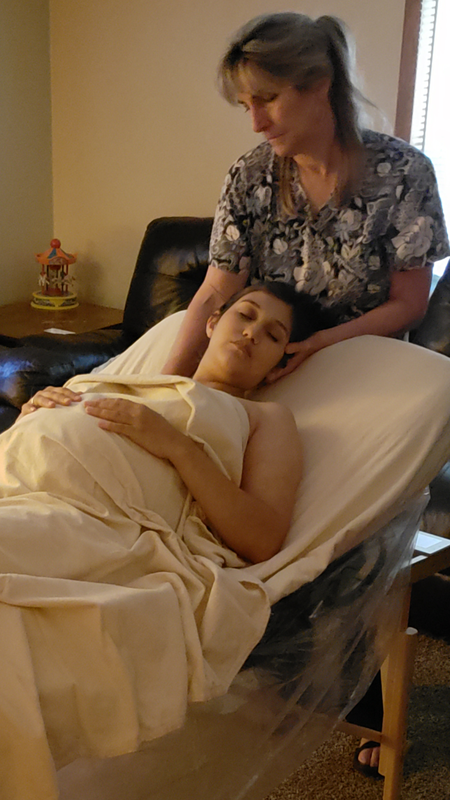 And now more and more, I am seeing Moms that just want to get things started naturally before the doctors start leaning toward and talking about induction. I totally understand this, and am always happy to try to help. I don't believe we are doing anything that can cause harm, with the "Labor Stimulation". And I do feel that even when the baby is not born as soon as often hoped, the technique does get things moving and speeds up the process. It is also common that if they do end up using pitocin during labor after a "Labor Stimulation Massage" they don't have to use as much. The actual technique consists of some essential oils, and working various acupuncture pressure points with acupressure. I will often add some massage, to promote relaxation and and/or address some problem areas. And I would really like to encourage any of you that I have already worked with to take a minute to say something on my Facebook page about your feelings on the "Labor Stimulation Massage", and how you think it may have helped you and your labor experience......... TYIA! I had some prenatal massage training for continuing education required to maintain my state license, but I did not do enough massages to be comfortable enough to offer them on an ongoing basis. I was also really busy with postpartum massages at that time. Eventually I decided to do the Certification training, which was a much more intensive program - and I LOVED it!! That training finally gave me the confidence I needed to offer Prenatal and Labor Stimulation Massage anytime/all the time. I want to start by saying the Prenatal Massage is SO beneficial throughout the pregnancy. Massage provides relaxation for Mom and Baby, which is so important to overcome various stresses that come with pregnancy - not to mention those from outside sources as well. Managing stress is SO important, especially during pregnancy. Prenatal Massage provides relief for various pains that come along during different stages of the pregnancy, and also helps with the tight muscles and stiff joints, blood pressure issues, and swelling. Prenatal Massage increases circulation while promoting relaxation, which circulates the needed hormones and helps overall metabolism, including digestion. Prenatal Massage will often improve sleep quality and overall mental state and outlook. Many places will not offer Prenatal Massage during the first trimesters of the pregnancy, I have even heard some say that it is not safe. This is NOT true. Prenatal Massage will NOT harm Mom or Baby during the first trimester. The problem lies in the fact that if something is to go wrong with a pregnancy, it most commonly occurs during the first trimester. The first trimester is also when there is most of the morning sickness and nausea, which does not make for a very relaxing session for anyone. The general thought is that if we give a massage during the first trimester and then Mom goes home and experiences problems later that day, or the next day, or even the next week, she or someone else may get to wondering if it could have possibly been caused by the massage. Many therapists do not want to risk the possible association, or blame in that kind of situation. I have done many Prenatal Massages during the first trimester, and have not had any problems. I also did have a situation where someone inquired about a massage while still in the first trimester, and I was working at a place that did not allow them. I explained the situation and scheduled her appointment for after 13 weeks, but she had to cancel because she lost her baby a week or so before the appointment. So, it really does happen, and she could have been left wondering if it was caused by the massage. It can be a very delicate situation, for sure. Pretty weird word, right? Well, it changed my life. Many years ago, while working as an outside sales representative for a cell phone dealership, I was told of a lady locally who is an Herbalist/Iridologist that can look in your eyes and tell you what supplements you need to take. And, I was told, "if you do what she tells you to do - you will feel 100% better in no time". I have always been very interested in nutrition, herbs, and natural healing - which I believe all go hand in hand. And, I had always wanted to meet a "Real" herbalist, so I pursued. I met Carol, and learned that she was introduced to Iridology in her own pursuit for direction and healing for the colon cancer she was dealing with. It was the tool that showed her the areas she needed to focus on supporting in order to help her body to heal. She said that during her journey, she made a promise to God that if He spared her life so she could raise her children, she would make it her life's purpose to help others. So she went on to study and learn. She blew my mind with the assessment she did on my eyes. It seemed like she nailed every one of my ailments, and made so many things make perfect sense. I walked out her door determined to follow her recommendations, and it really did change my life. I became so fascinated with Iridology, that I wanted to learn it. Carol tried to teach me some, but she was so busy with her own practice she suggested I go to the school she went to - and in July 2002, I was certified as a "Master Iridologist". 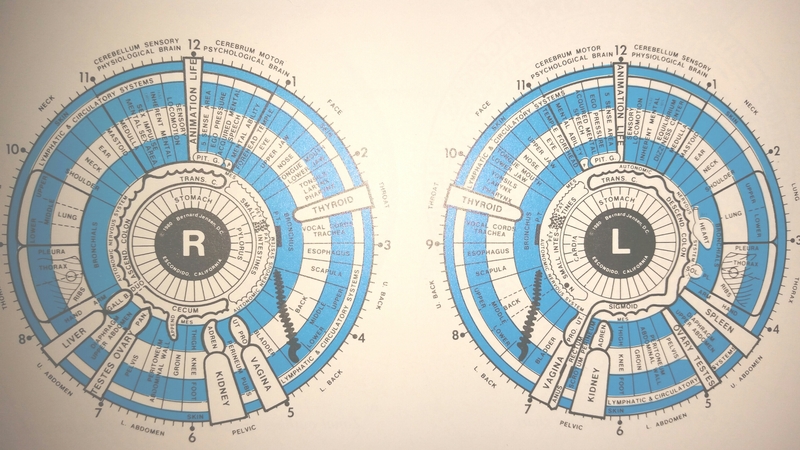 Iridology is the science of interpreting the various colors and markings within the iris and sclera of the eye. It has been practiced by Doctors and Laymen in several countries for over 100 years. Bernard Jenson was the most well known Iridologist in the US, and his work and findings have been taught and utilized world wide. While there are many conflicting writings about Iridology, I personally believe that is due to the fact that people are trying to make it something that it is not. They want it to work like a blood test or MRI, to give you a cut and dry diagnosis. That is not what Iridology is about. The iris, like a thumbprint - is completely unique. 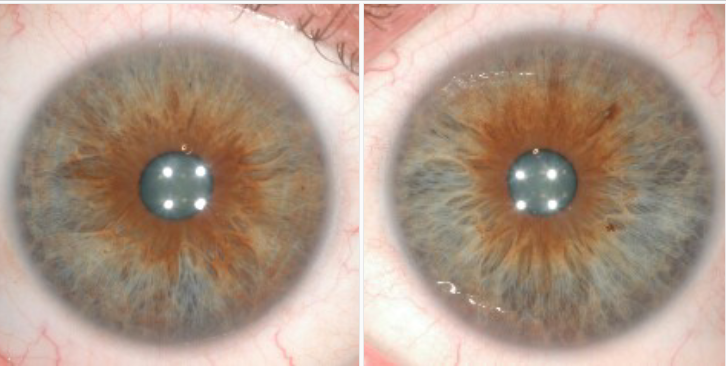 Much of what is found in the iris is formed in the first two years of life. Therefore, there is a lot to be determined regarding the functional strengths and weaknesses you were born with. According to Toni Miller, a well known Iridologist from Australia, the constitution found in an iris is determined and passed down by the past 3 generations. A basic rule for natural healing is that if you will support the functional weaknesses within the body, it will allow the body to correct and heal as it was designed to do. This concept has proven itself time and time again. Iridology is a wonderful tool to give insight to what some of those weaknesses might be.